Hello everyone! Jenn here for another Thursday share! This time I have a sweet Valentine with a vintage vibe for you. 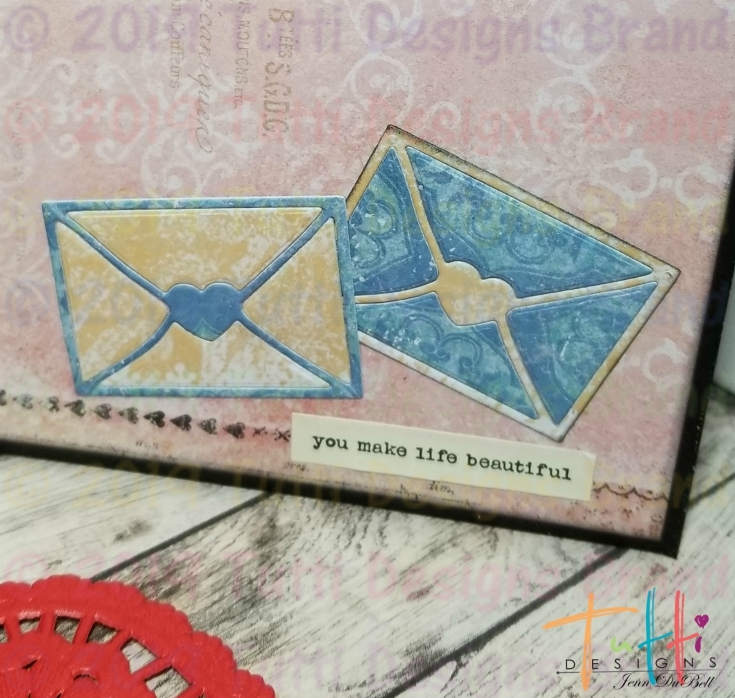 The paper used here is from Blue Fern Studios and is called Heartland. Start with a black 5 X 6 1/2 base. Patterned paper - cut two 4 3/4 X 6 1/4. One is for the inside and the other for the front. Ink the edges with black distress ink and set aside. Using the 2nd largest Dotted Nesting Square Die cut one from black. Use the next size down and cut one from patterned and finally the next size down to cut a picture from the papers. 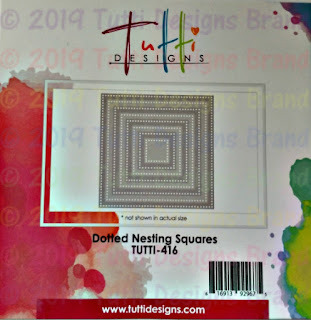 Start by adhering the inside 4 3/4 X 6 1/4 piece as shown below. 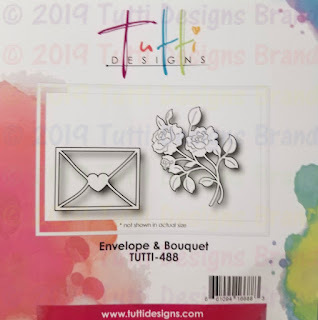 Use the Envelope and Bouquet Die and cut two from two different colors. 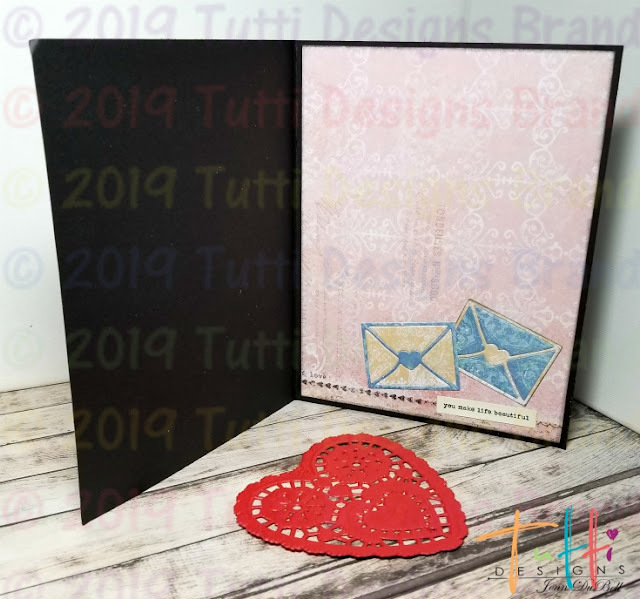 Use the insides of the die parts to fill the envelopes as shown below. Next adhere the front 4 3/4 X 6 1/4 piece. Add a paper doily and the layered square die cuts. Mine are adhered using foam adhesive squares to add dimension. 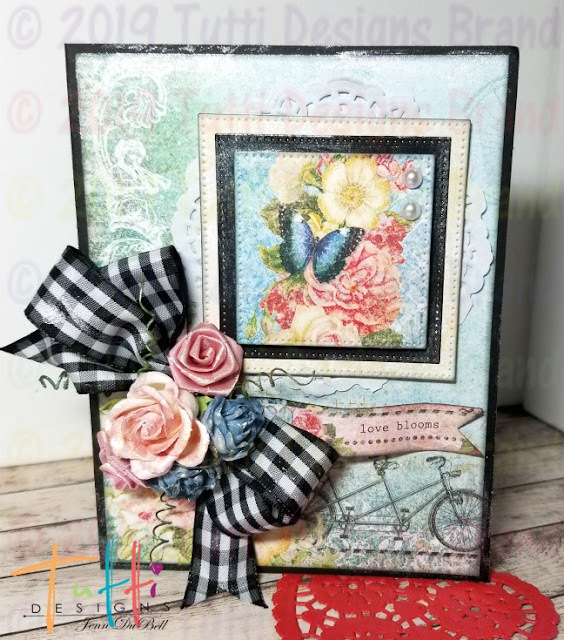 Add a fun cut out sentiment from the paper, a bow, and some beautiful florals to match! 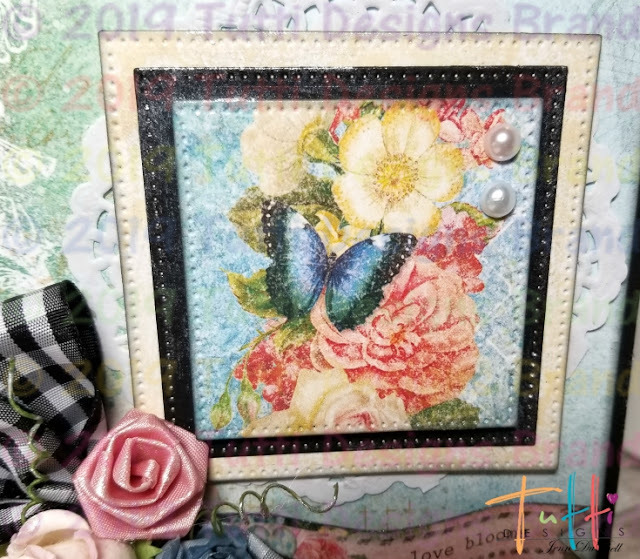 For added sparkle I brushed over areas of my card as well as the flowers with a pearlizing medium. Here is a closer view of the beautiful Dotted detail on these dies!